Arrow Max Compressor & Vacuum Pump is a compressed air specialist, providing service & repair, sales, and system design to Bay Area machine shops. Servicing all brands, we can help you troubleshoot your machine shop compressed air systems if they have issues, and also keep your system running efficiently. If you are thinking of upgrading your compressed air system, or if your air compressor, vacuum pumps, or air dryer needs service or repair, we are the Bay Area compressed air specialist to call! Need air compressor service at your machine shop? Please call Arrow Max at 510.828.7555 or contact us today. Compressed air is a vital part of industrial operations, powering pneumatic tools. Before air from the compressor reaches the tools, a variety of steps and components have to do their job successfully. In a precision machining environment, removing water from the air is critical to keeping tools free from rust and contamination. Small issues becomes big issues quickly, and without proper air compressor maintenance, your system and tools can break down early and contribute to energy consumption. Compressed air is often thought of as a “free” source of energy, but it is actually expensive, so keeping your machine shop compressed air systems running efficiently is critical to your energy bill. Arrow Max Compressor and Pumps specializes in complete system design and installation. Recently, we have helped various machine shops in San Jose, Milpitas & Fremont to design new compressed air systems, obtaining the various components and piping and installing the system onsite. Depending on your needs one option for piping is the FS-Curtis Aluminum Piping System, which is fast and flexible, and incredibly easy to modify. 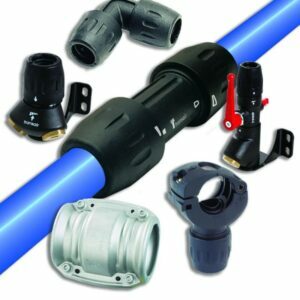 This system offers significant savings on installation, maintenance and operating costs, making it the most cost effective and efficient pipe system for compressed air. If you would like to setup an appointment to discuss your options, please contact Arrow Max Compressor & Repair at 510.828.7555 or contact us today.